But you know who was not there? The delegation from Nicaragua. They could not leave their country. Did you know that there are violent protests in Nicaragua? There wasn’t a delegation from Haiti either. Did you know about the political turmoil that’s taking place in Haiti right now? It’s also a miracle that anyone from Venezuela could come, because things are not good in that country either. In today’s first reading, the Prophet Jeremiah says that most of the leaders of Israel were not good shepherds. In fact if you read any of the Old Testament prophets you will see that there were a lot of bad rulers in Israel. Sadly, it’s the same today. I just mentioned three countries, but there are so many political leaders all over the world that are not good shepherds. All they care about is their own benefit; their own egos; their power and wealth. We are not exempt here in North America where our leaders seems to care more about promoting their own ideologies instead of caring for the people. But Jeremiah says that one day a leader will come who will be different. He will be a good shepherd and the one characteristic that He will have is righteousness. He will be righteous. He will be just. He will be a Shepherd of Justice. That’s makes perfect sense, because, as Mother Teresa used to say, if we want peace, we need to work for justice. You can’t have peace without justice. We all know that that Shepherd is Jesus Christ; the Good Shepherd. Jesus Christ is the Good Shepherd who leads us to restful waters and refreshes our souls. But today He looks at the crowds and is sad because they are like sheep without a shepherd. So, even though He hasn’t eaten and He was looking forward to some rest and relaxation with his disciples, He rolls up his sleeves again and begins to teach them. And He also feeds them, because the very next thing He does in the Gospel is the feeding of the multitudes with 5 loaves and 2 fish. That will be the Gospel next week. 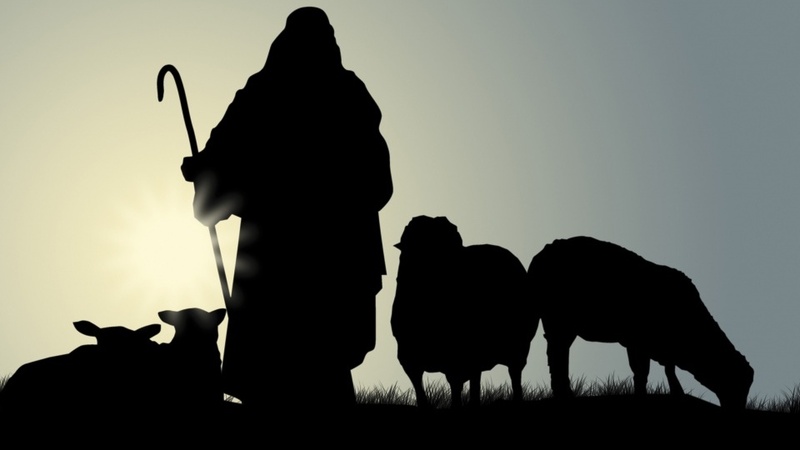 But sometimes I think that if we focus too much on the fact that Jesus is the Good Shepherd and that we need our souls refreshed, we forget that we too are called to be shepherds. You are not the sheep. You are at Mass every Sunday. You are the ones being nourished by His Word and Sacrament. You are not the sheep; the sheep are outside. What’s it like to be without a shepherd? Without a shepherd we are not safe. Those without a shepherd have no one to protect them. Those without a shepherd don’t know where they are, where they are going or how to get there. They are lost. With the Shepherd, there is NOTHING I shall want. There is nothing that we need. Without the shepherd there is EVERYTHING that we need. It’s not acceptable, in this day and age, with all the resources that we have, that there are people some of you did not know that there are people suffering and being killed in Nicaragua. There’s no excuse that you don’t know that Catholic Churches are being targeted by paramilitary groups in Nicaragua and that Catholic priests have been killed.There’s no excuse that you don’t know that there are violent protests in the streets in Haiti and that the prime minister resigned last week. And many of us forgot about Venezuela a long time ago. In your community, wherever you live– You may not be the wealthiest in your country, but I bet you are not doing too badly. And we get so comfortable and we don’t think about others who are not as comfortable as we are. Still, there are homeless people in your town, probably nearer to you than you think. There is no excuse that anyone in your parish should feel alone or unwelcome. There are people in your parish whose name no one has ever asked. There is no excuse that we come to Mass and leave without ever knowing that there is someone going through chemotherapy, or that someone is struggling in their Marriage, or getting a divorce. There are people in your parish who’ve just lost a parent, a spouse or a child. There are people in your parish who are new immigrants or refugees. There is someone in your parish who is going through an unplanned or unwanted pregnancy. There are people in your parish who have impossible hospital bills to pay. There are people in your parish who just lost their job. There are probably children in your parish that go to school without breakfast in the morning. Are we shepherds to them? Are you going to shepherd them? Psalm 23 is the most popular psalm because it speaks to our deepest longings; our deepest needs. We may not be able to change people’s situation in life, but we can’t just sit and do nothing. We can’t forget that they exist. At least we can pray for them and praying for them will change our hearts. I am going to give you homework. Every day this week, end your day by praying with Psalm 23. Read it slowly. Then sit quietly for two to three minutes. Then read it slowly again. When you do, think of the people in Nicaragua, Haiti and Venezuela and those in other countries who are needlessly suffering. Pray for migrants and refugees. Pray for those who have to leave their homes and are separated from their families. Pray for those living in situations of war or famine. Pray for those in your parish who are sick, who are dying and who are in hospitals with no one to visit them. Pray for those who are unemployed. Pray for those who are struggling in their marriages and those who are struggling with any kind of afflictions or addictions. Pray for all who are going through crisis. Pray for the people in your community who are not safe and who are wandering. Pray for the ones who are lost. “The Lord is my Shepherd; beside restful waters He leads me; He makes me lie down in green pastures. He refreshes my soul. He leads me in right paths for his name’s sake. Let’s ask the Good Shepherd to give us the courage and the Grace to go out there and be shepherds. Let’s go out and find those lost sheep. Let’s bring them to restful waters so they can refresh their soul.